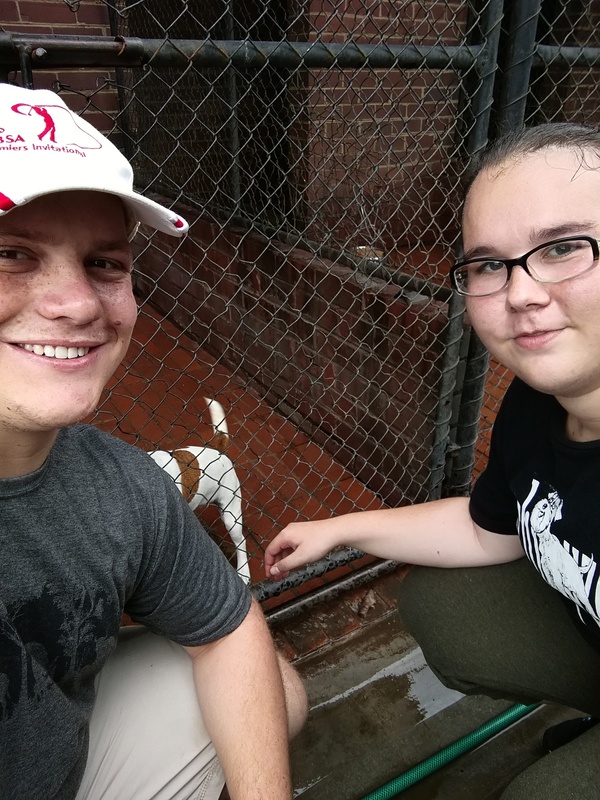 One of the groups enrolled in the Community-based Project Module (JCP) of the Faculty of Engineering, Built Environment and Information Technology did various tasks at the Pretoria Dog Rescue. The students Waldo Coetzer, Theané Janse van Rensburg and Lomé Spangenberg repaired the storeroom as various other tasks. They indicated afterwards that they have all grown as individuals during this project and has realized that they can add value without it costing a cent. They have learned about each dog’s history and that every single dog has their own unique personality but needs to be treated with the same respect and affection as the next. Some of these dogs has been through and seen the worst that the world has to offer, but still they are willing to give you, a complete stranger, unconditional love as long as you treat them with the respect and love that they deserve. You might not be able to save the world from its own destruction, but together with a community like this you can start to change the lives of not only animals but people as well, even if it is just changing their perspective. Each dog you walk, each kennel you clean and each bowl of food you put down, adds value to each dog’s life. This value cannot be measured but it does not mean it is any less important.